Water and energy conservation have become primary concerns among industries across the globe due to policies favouring and promoting the sustainable use of natural resources. Membrane-based treatment technology is highly valued for its efficiency and reliability. Smart-IoT enabled and digitalised sustainable solutions are the key growth factors in the water industry, which is characterised by an increasing stress on water resources across the globe. The municipal water market is set to extensively adopt new communication technologies such as low-power wide-area network (LPWAN), which is suited to support IoT, and explore AI and robotic solutions for process control and management, along with transitioning to sustainable business models. Where there is a growing demand for decentralised/mobile treatment systems in the industrial water market, smart sensors with self-calibration/cleaning ability and artificial intelligence (AI) for operation and maintenance of the treatment systems are being explored. Favourable policies coupled with strict enforcement of environmental regulations are driving growth. Industrial IoT and AI: Industrial IoT and AI are being implemented to integrate the industrial treatment process with the centralised mainstream process control, which ensures efficiency and a reduction in operational expenditure. Smart sensors: Smart sensors are being developed and implemented with self-cleaning and self-collaboration capabilities which ensure quality data, leading to efficiency improvements in the entire treatment process. Mobile and decentralised treatment systems: The demand for mobile and decentralised treatment systems is growing due to its small footprint and quick installation. 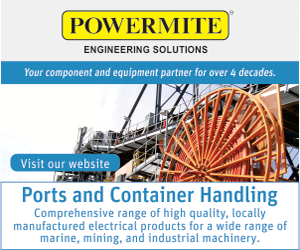 Oil & gas and power generation industries are the major customers. Water treatment as a business model: Water as a service (WAAS) has helped to shift the burden of performance from the customer to the service provider. This model is being pursued by industries like food and beverage and power generation. Expansion of refining capacity in APAC: The demand for water treatment systems from petrochemical industries is set to grow at a rate of 8,5%. This is mainly due to expansion of refining capacity in countries like India and China. Water efficient technologies to meet reuse/ZLD demand: Water efficiency has become a key criteria for the treatment of industrial wastewater. Water stress across the globe has driven policies favouring water reclamation efficiency and zero liquid discharge. Asset sustainability and operational efficiency are set to be improved through smart IoT components and data analytics platforms. Regulatory policies focused on conservation and sustainability have led to water utilities embracing smart process control and management systems with IoT-based communication technology and data analytics platform for improved efficiencies, apart from advanced treatment technologies. The process control and management segment is set to grow at a rate of 9,6%. Membrane-based treatment technologies continue to dominate the market due to shifting policies which recognise desalinated water and reclaimed water as climate-proof and reliable alternative to conventional resources. Fig. 1: Water desalination in Africa: Plants by country, 2018. Smart water metering is gradually being adopted for reduction of leaks and non-revenue water. 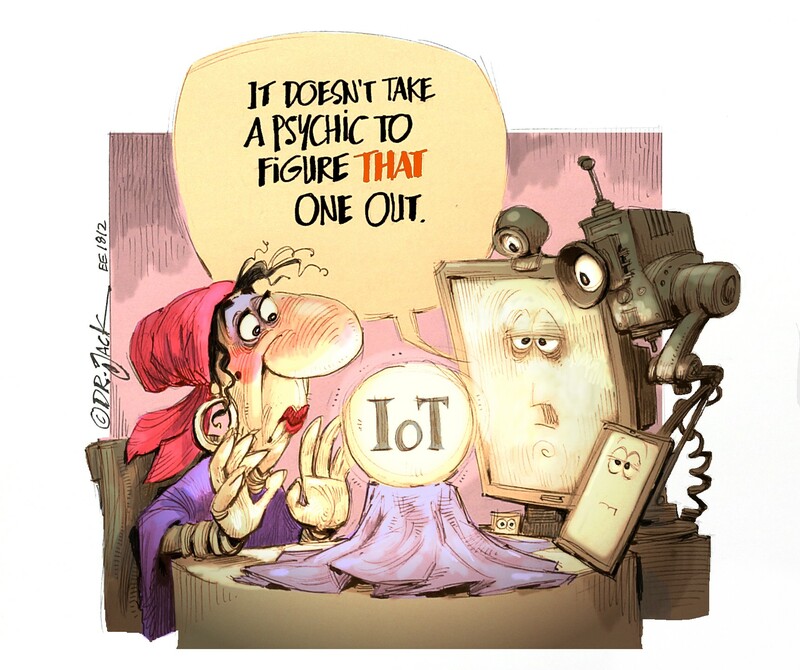 Additionally, smart meters are the source of value-added data to optimise resource, predict consumption patterns, and provide qualitative analysis and real-time visualisation. The smart water grid is expected to grow at a rate of 33%, with North America, Europe and China being the leading destinations. Energy efficiency in treatment systems has become a focal point of innovation in treatment technologies. Energy-positive systems are set to become a key requirement with advancement in the use of sludge as a resource and in connecting treatment plants to renewable energy sources. A growing trend of innovative business models like pay-for-performance and hybrid-annuity private-public partnership models are being explored and adopted by cash-strapped utilities. This helps in promoting innovation and increasing efficiency. China’s waste import ban will change the landscape of waste management in developed countries around the globe and developing countries in Asia. Sustainable eco-design and up-cycling will impact the global fashion industry which produces a lot of waste due to changes in trends every season or year. Globally, 80% of eWaste still ends up in landfills, illegal dumping in developing countries, and oceans. Stringent regulation, closed-loop supply chains and producer responsibility need to be implemented effectively to bring about change in the scenario. The construction industry is likely to work toward designing for adaptability, disassembly, and reuse. Recyclables in building materials will also reduce waste footprint in landfills and oceans. Opportunities for plastic waste recycling and production of bio plastics continue to rise due to increase plastic pollution in many countries. Forward osmosis (FO): This technology draws water through a membrane from a feed solution into a more concentrated draw solution, which is then desalinated. Less fouling of membranes is encountered with FO compared to simple reverse osmosis (RO). There are FO plants operation in Gibraltar and Oman. Pressure-assisted FO (PAFO) could potentially reduce the capital expenditure required and the energy demand of the plant. Decarbonising desalination: This is achieved in two ways: renewable energy and energy-recovery devices (ERDs). A few plants in Africa are powered by renewable energy or biofuel. Solar powered desalination plants are particularly advantageous for Africa, as there is plenty of sunshine. Battery storage solutions can be added for 24-hour operation. Alternatively, turbine ERDs can be used to generate power when renewable energy is not available. ERDs are used to reduce the dependence of desalination on fossil fuels by mitigating its energy-intensive nature. Hybrid desalination: This combines RO systems with thermal technologies, such as multi-stage flash and multi-effect distillation. Hybrid desalination plants are often located alongside power stations, where they can use waste heat for their processes. Hybrid plants that combine desalinated water with treated wastewater will increase in popularity to overcome public resistance to consume treated wastewater for potable purposes. Water storage in desalination: Plants are increasing, especially renewable energy-powered plants. Water is pumped to a higher elevation and released during times when renewable energy cannot be generated to operate the plant. 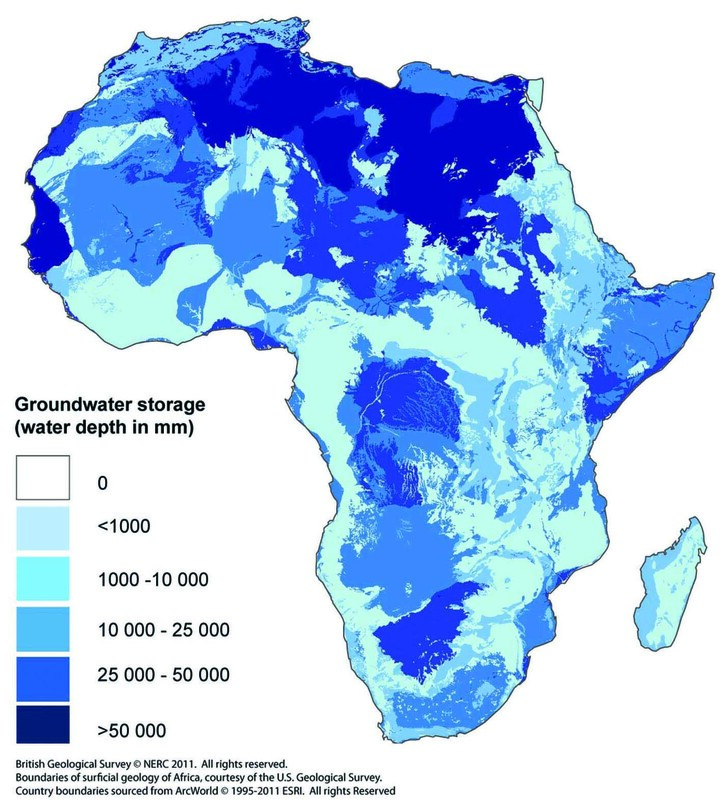 The desalination market in Africa is dominated by North Africa, with Algeria, Libya, and Egypt at the forefront with the highest installed capacities. Egypt currently has the largest pipeline of desalination projects on the continent. Morocco, previously constrained by its limited energy supply and procurement regulations, has ramped up its investment into desalination and renewable energy to power it. The world’s largest desalination plant, which is run entirely on solar energy, is under construction in the Agadin region. The majority of sub-Saharan African countries have modular or small-scale desalination installations to provide water for industrial applications or water provision in rural areas. High costs have prevented large-scale plants in the past. South Africa and a few sub-Saharan African countries use desalination as an emergency drought response owing to lower desalination capacities. The United Nations predicts that the African population will double by 2050, putting extra pressure on limited freshwater resources; demand will outgrow supply. This will see the rise of mega-corridors like the TAP from west to east Africa. Decentralised solutions are growing in popularity, as they are scalable and can be relocated based on need. Modular desalinisation solutions will grow in Africa. Increasing renewable energy mix will result in renewable energy-powered desalination plants. The high cost of desalination will cause countries like Namibia and Botswana to share desalination resources. There is a shift to the build-operate-transfer (BOT) and build-own-operate-transfer (BOOT) models to share the risk across the public and private sectors, The design-build-operate (DBO) model will increase in popularity as municipalities will seek a “one-stop-shop” from design to build to operation and maintenance (O&M) of plant. Persistent innovation in membrane technology, ERDs, and brine disposal/use will have a significant impact on the desalination market in Africa. Reducing the energy has the potential to reduce the O&M cost by as much as 20%. As African companies develop a proven track record, there will be less reliance on foreign companies resulting in marketing share growth of African companies.